It contains: 1 color label - 5 tubes - 1 picture - 1 shape. 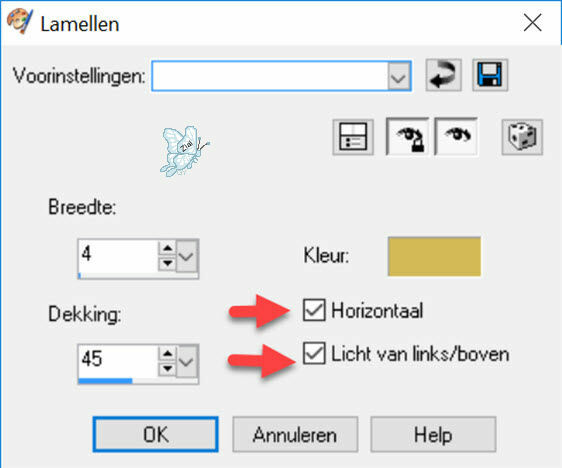 Place the shape in your Preset shape folder. The tubes are by Carolina, LCT and Leny. Set your foreground color to #a90a0f. Set your background color to #d3ba58. Set your foreground to gradient 'Linear' - Angle 45 - Repeats 3 - Invert not checked. Open a transparent image of 820 x 520 pixels. 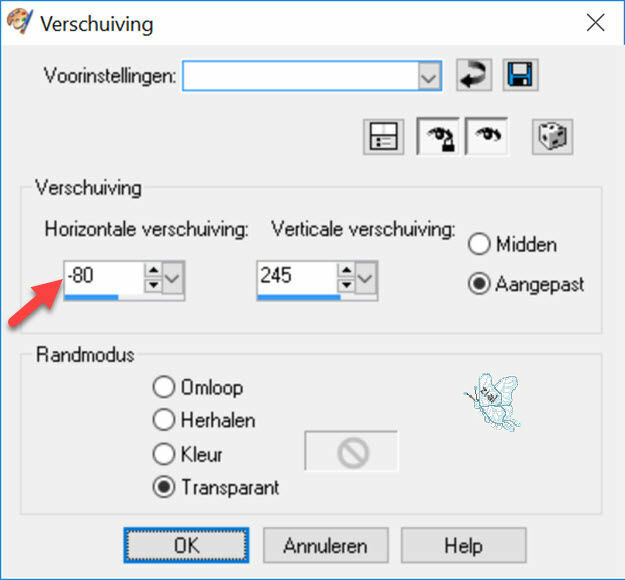 Activate your Preset shape - find shape 'Ramme gruppe' - Anti alias and Made as vector checked - Width to 2 - Style not checked (otherwise you get a different effect). Draw this shape over your hole image. Leave a small edge free on all 4 sides. Click with your Magic wand in the middle of the big rectangle. Vert and Hor 20 - Opacity 100 - Blur 0 - background color. Repeat with Vert and Hor to minus 20. Click with your Magic wand in the left-most square. Click with your Magic wand in one of the corners. Repeat Blinds with Hor. not checked. Click with your Magic wand in the middle rectangle. 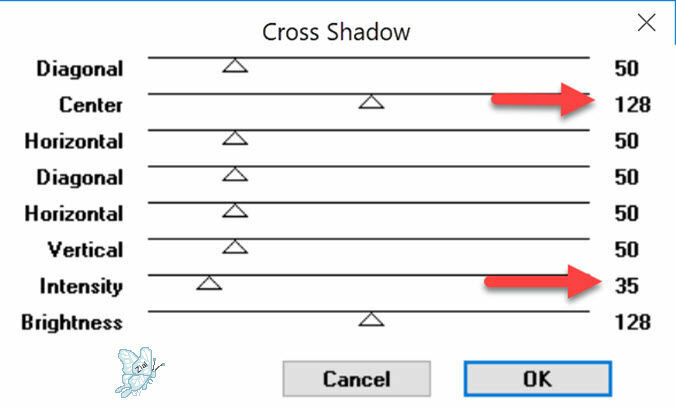 Effects - Plugins - Graphics Plus - Cross Shadow - same settings as before. Click with your Magic wand in the below rectangle. Effects - Plugins - Filters Unlimited 2.o - Paper Textures - Rag paper - default settings. Vert and Hor 8 - Opacity 45 - Blur 25 - color black. Place the tube in the upper right corner. Change your gradient to Angle 135. 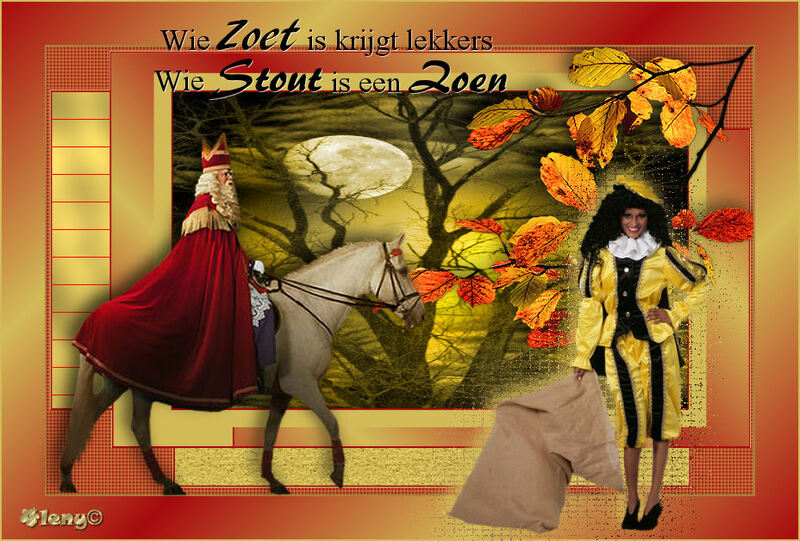 Copy tube 'Piet getubed by carolina'. Vert and Hor 8 - Opacity 65 - Blur 25 - background color. Place her in the lower right corner - see main image. Activate the original tube layer. Place the horse left below, with his shoes on the edge - see main image. Vert and Hor minus 8 - Opacity 65 - Blur 15 - color black. 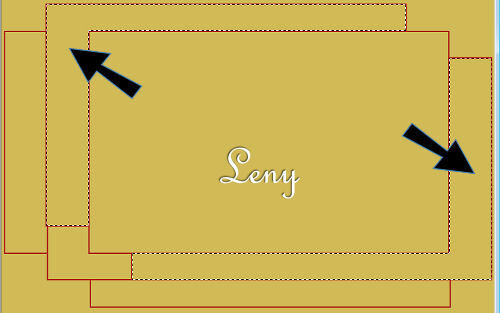 Copy tube 'Leny-tekst-wiezoetis' (you can choose the dutch text or the english text). Vert and Hor minus 1 - Opacity 65 - Blur 15 - color white. 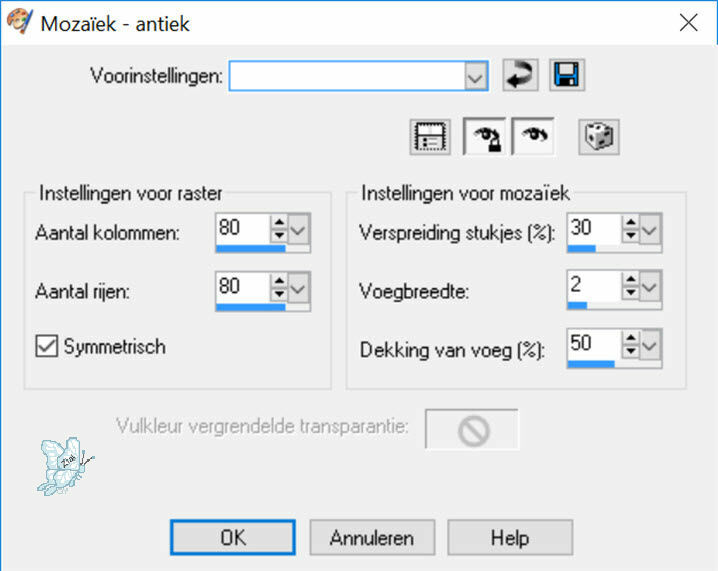 If you want you can resize your crea to Width 750 pixels.